The allegations against Allied Newspapers' managing director came like a bolt out of the blue, and shocked our news organisation's employees to the core. So you can imagine the hurt most of us felt when our editorial credibility was put into question when a story implicating our company's managing director (who has since stepped down) was uploaded to Daphne Caruana Galizia's blog. 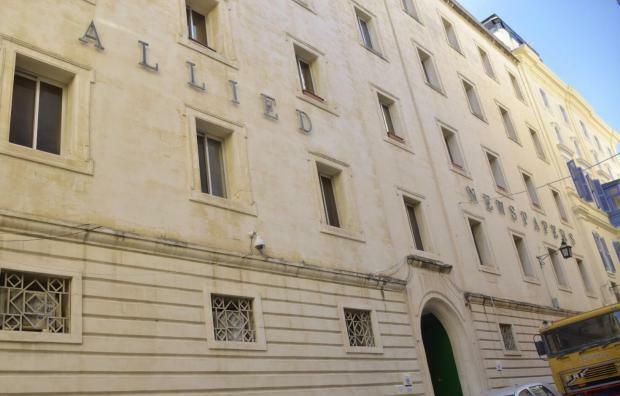 While it has been made repeatedly clear that management cannot interfere in any way in Times of Malta's editorial, the accusations were to a certain extent a natural reaction when faced with a serious claim. What was surprising was the ease with which many (often faceless individuals hiding behind pseudonyms) dismissed the Times of Malta's 80-year legacy with crass allegations and colourful conspiracy theories that editorial was in someone's pocket. We were blamed for the PN's downfall in 2013 because we dared to report the many complaints against Arriva and exposed the way MPs gave themselves a pay increase. It's like a broken record. I remember Times of Malta being blamed for Labour's unexpected defeat in 2008. I remember Times of Malta being blamed for the outcome of the divorce referendum in 2011. Sorry to break this to you, but news organisations do not single-handedly have the power to change governments. While by its very nature, the stories we choose to report and probe are subjective, it does not mean it comes at the expense of fairness. Do we make mistakes? Of course we do. Do journalists have biases? Undoubtedly! Do we openly disagree about the slant to a story? Almost every day! But this is why every story is screened for balance by a news editor and at least one more senior editor before its publication. I can vouch for our reporters' ethics. I have seen journalists and editors soldier on with certain stories even when it meant they were taking personal risks, attacked and even if it damaged the party they voted for. If I investigate a story involving a Labour MP, it doesn't make me a rabid Nationalist. I’m just doing my job. Like other editors, I receive phone calls almost on a daily basis from political parties, institutions and businessmen to exert pressure. It is the nature of the job. We deflect that pressure by having a collegial atmosphere of open discussion around news agenda and by building a firewall between the commercial and editorial side. Over the years, I have seen countless instances where editors chose to run stories that we knew full well would hurt our commercial interests. This is why along the decades, Times of Malta has been at the forefront of exposing stories which some wanted to keep hidden away. Without Times of Malta, the public would not have known the full extent of the Dar Malta saga in Brussels. Without Times of Malta, the Gaffarena scandal would have never seen the light of day. I could list dozens of other stories we exposed, but our loyal readers can testify to that. We do not like it when we are scooped, but that almost always happens because the information is not relayed to us. Sometimes we do not have the necessary resources to tackle stories, or we cannot get both sides to the story. We might pull the plug because it the story is not legally sound. Sometimes we are criticised for being too conservative with our publishing standards. That is because we understand the weight and responsibility that our title and legacy places on our shoulders. While media organisations need to be accountable, it is important to bear in mind the danger of going down a slippery slope towards eradicating legacy media houses where journalists are trained to extract the truth and maintain an even-handed approach. Imagine a scenario where the BBCs and Der Spiegels are replaced by faceless Facebook posts and dodgy sites, some of which might be financed by dodgy governments and businesses. The minute that happens we will be giving carte blanche to anarchy. The way we do journalism is changing fast. Social media brought about a healthy democratisation of the information landscape. Anybody with a computer or a mobile phone now has the freedom to post to his heart's content. And that is a wonderful thing. Bloggers also have an important role to play but the fourth estate must not be allowed to become exclusively reliant on unaccountable outlets of information. The minute we stop using journalism as a means to verify the truth and the minute we find every convenient excuse to unfairly label established news organisations, the quicker we are writing off one of the most important beacons of our democracy.